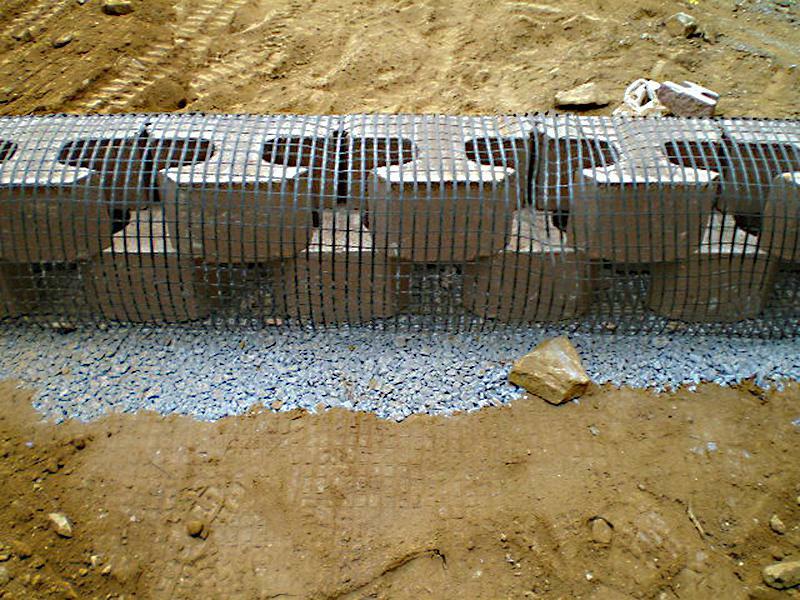 We offer a wide variety of geogrids to fit your project needs. 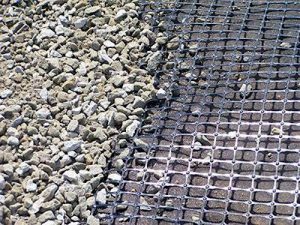 Geogrids are designed and used for reinforcing soils. They can be used in retaining walls, roadways and steepened slopes. 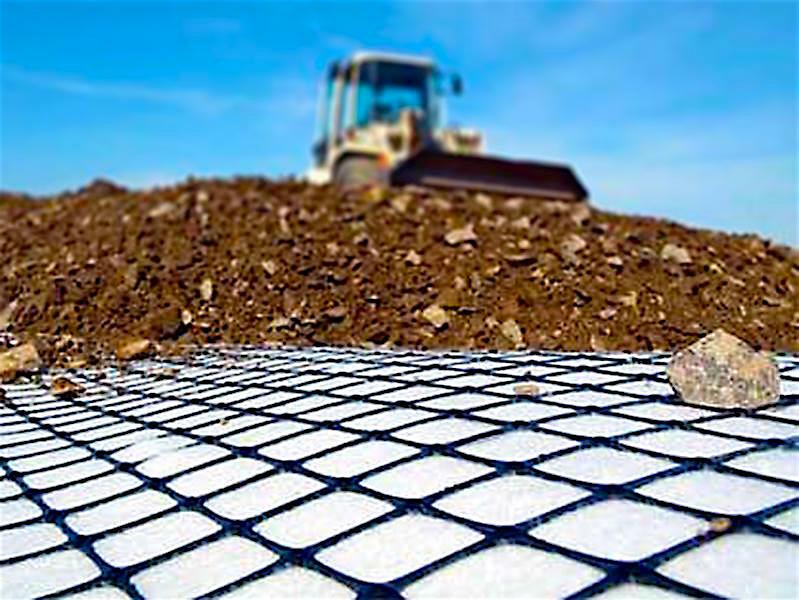 Geogrids have different functions with biaxial used for soil stabilization and uniaxial used for reinforcing steep slopes and wall construction. 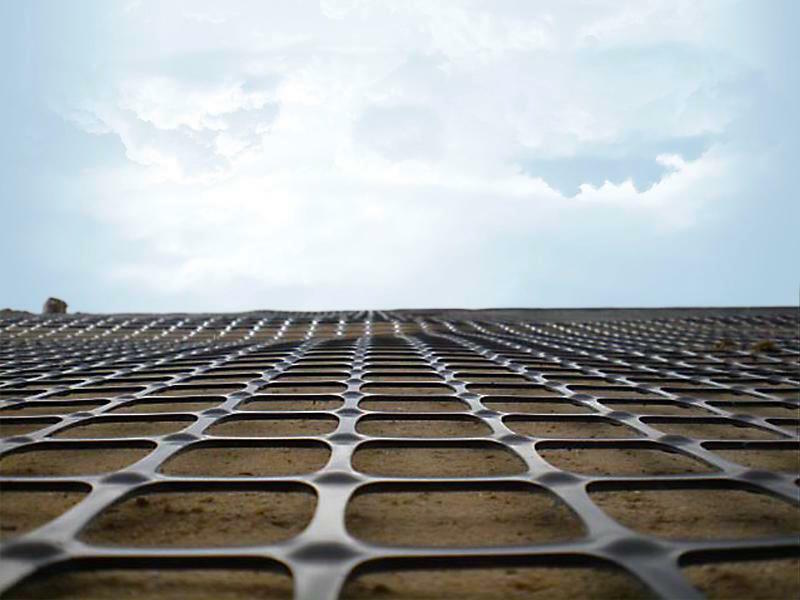 Geogrids can limit the use of aggregates saving the customer time and money. Biaxial Geogrids are designed to reinforce unstable soils. By having equal tensile strength in two directions, they can distribute load forces, making them ideal for stabilizing roadways and helping to reduce the aggregates needed for your base course. Uniaxial Geogrids have high tensile strength in one direction. 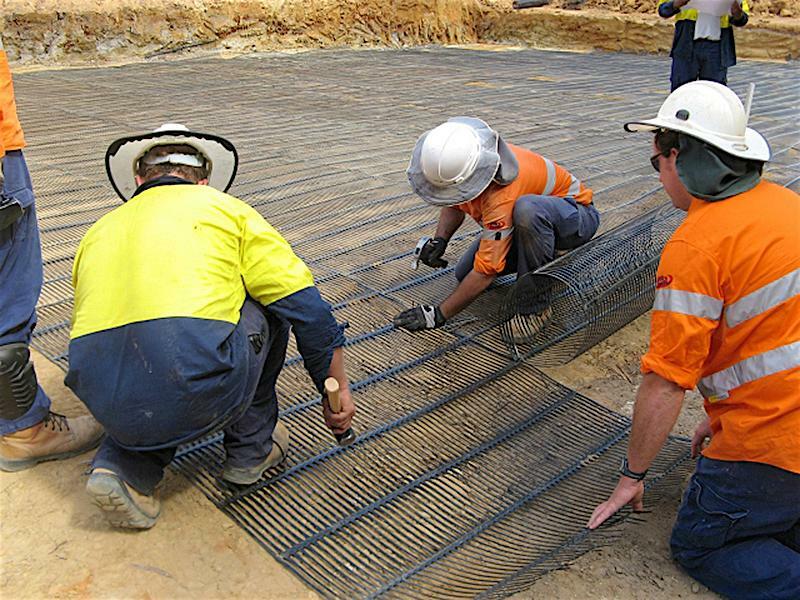 They are used to reinforce retaining walls, steepened slopes, dams, levees, landslide repairs and roadway embankments. They are available in various strengths to provide the proper reinforcement for your project. Humans have dealt with weak and unstable soils for thousands of years and efforts to stabilize them started with using organic fibers like straw or lime to improve the soils structural integrity. 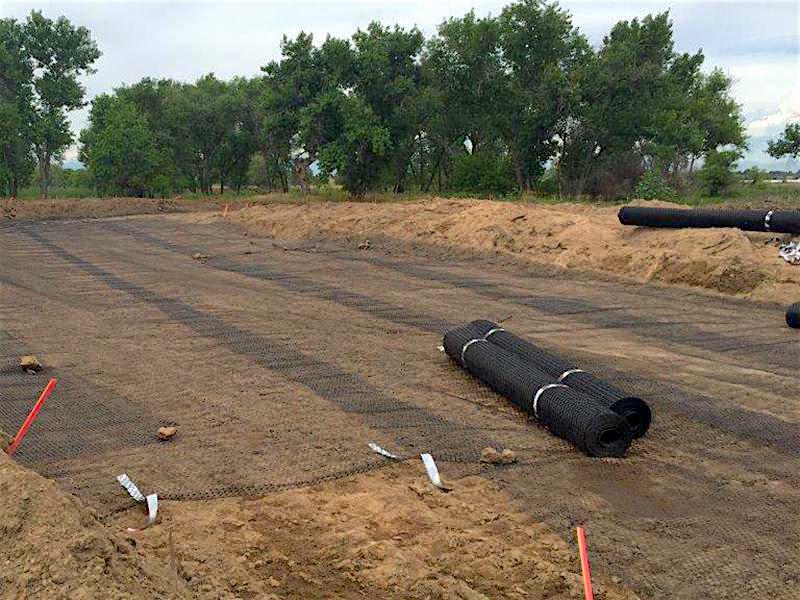 Today as we are developing and building on more challenging landscapes, polymer products such as Geogrids and Geotextiles, have given us the ability to design these projects with technical certainty. This enables us to continue to expand the horizons on the types of projects that we can stabilize. From reinforced steepen slopes, or to a more advanced roadway that will last twice as long, these materials have answered a construction need and deliver these projects at a reduced cost. 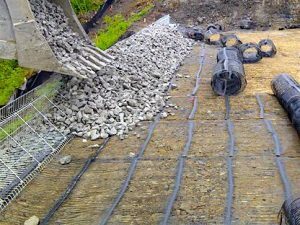 Triton has dozens of products designed to reinforce soils and prevent failures so you can focus on delivering the project on time and under budget.